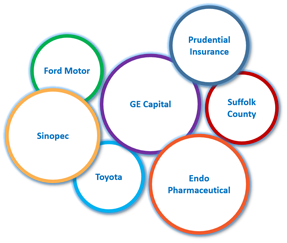 We develop and distribute ATOMTM—a suite of comprehensive software solutions for treasury management, debt issuance and trading, loan asset syndication and securitization, bank trust, and Chinese treasury management. How are ATOM solutions different? ATOM solutions are comprised of “ATOM Cockpits” which combine navigation, functionality, drill-downs, workflow, reporting and business intelligence in one cleanly organized home screen. Cockpits are available for every logical business area within each ATOM product. 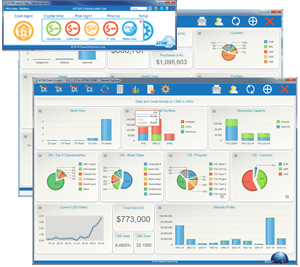 ATOM reporting provides built-in data analytics, dash boarding, and data integration for powerful, self-service reporting. 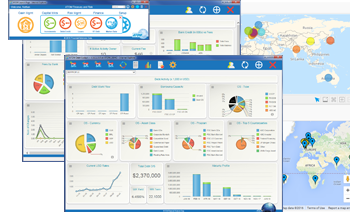 Do you want to visualize and dynamically monitor your company specific workflows? 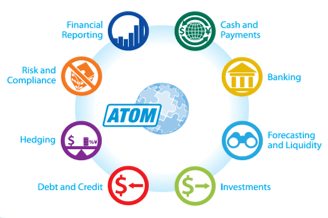 ATOM Workflow provides a dynamic, configurable workflow management solution that models any customer specific workflows.